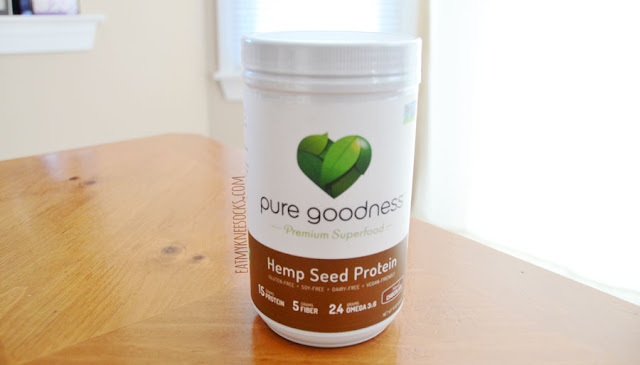 If you've been looking for an all-natural, GMO-free, good-for-you and good-tasting protein product, look no further: today I'll be reviewing the Hemp Seed Protein powder from Pure Goodness, a brand that takes the nutrients of superfoods like hemp seed, pumpkin seed, and more to create delicious and nutritious products. Details ahead! 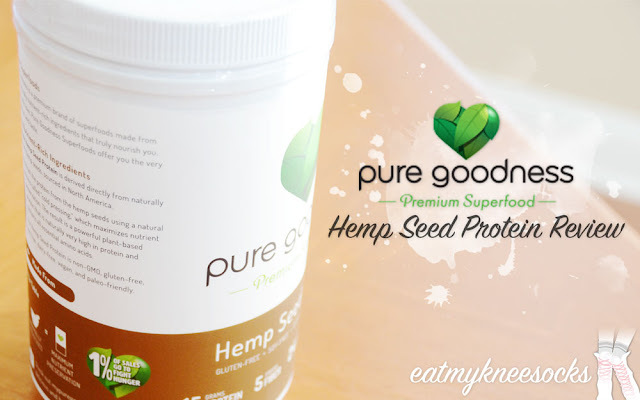 Pure Goodness is a USA-based premium superfoods brand, known for their superfood-based products, like their Hemp Seed and Pumpkin Seed Protein Powders. All their products are non-GMO verified, gluten-free, dairy-free, soy-free, raw, and vegan and paleo-friendly, making them a standout brand among health and fitness fanatics. Along with their promise to steer clear of artificial colors and flavoring, GMOs, and preservatives and their vows to bring the best in minimally-processed, natural health superfood products, Pure Goodness has also committed to giving back to the community—1% of their sales is donated to help communities across the U.S. obtain access to healthy, nutritious food! The product I'll be reviewing today is their Hemp Seed Protein Powder, available in three flavors: vanilla, chocolate, and plain/unflavored. I received the protein powder in chocolate. The Pure Goodness Hemp Seed Protein Powder is non-GMO, vegan friendly, paleo friendly, and free of gluten, wheat, or soy. Made from cold-pressed hemp seed to preserve the natural protein and nutrients, this plant-based protein powder contains 15 grams of protein per scoop-sized serving. For $24.99, you get a 16 oz. container, which has about 12 servings. In addition to protein, this hemp seed powder also has 5 grams of fiber per serving (about 20% DV), 390 mg of potassium, and 2.4 g combined of Omega-3 and Omega-6, all from the hemp seed. There are also tons of vitamins and minerals, including iron, calcium, magnesium, manganese, and many more! 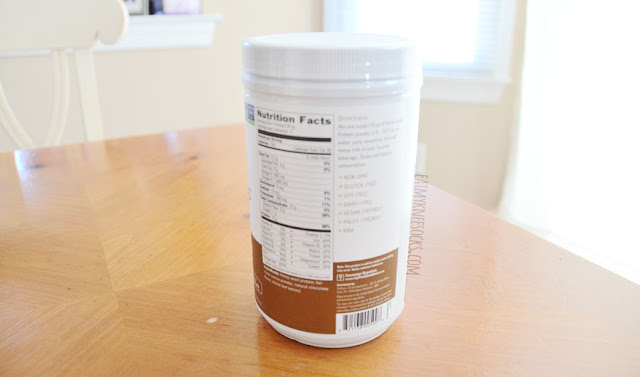 What I love about Pure Goodness' protein powder is that, unlike other protein products I've tried with 15-20+ grams of protein per serving, it has a very natural taste. 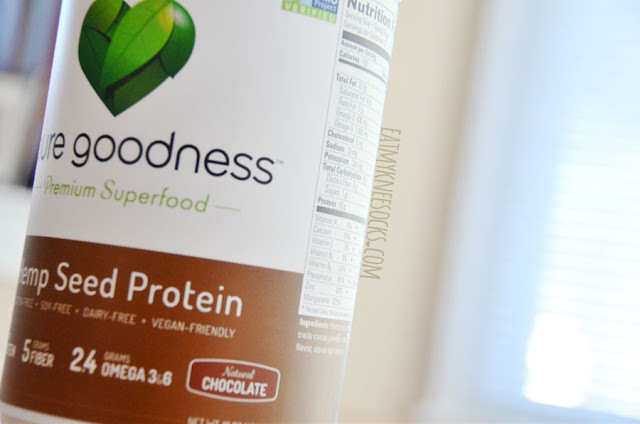 If you look at the ingredient list, you can see that everything in this protein powder is natural and easily recognizable: the only four ingredients are hemp seed protein, cocoa powder, natural chocolate flavor, and stevia leaf extract. It's hard to find a protein product that's high in protein, low in sugar, and still tastes great, but Pure Goodness' Hemp Seed Protein hits the mark on all three! I like to mix it in milk for a protein-packed hot chocolate drink, since I find that the texture of the hemp seed doesn't work too well with water, but goes perfectly with milk since it's thicker. You can also add this into smoothies, shakes, oatmeal, yogurt, or whatever else you can imagine to pump up your daily intake of protein! 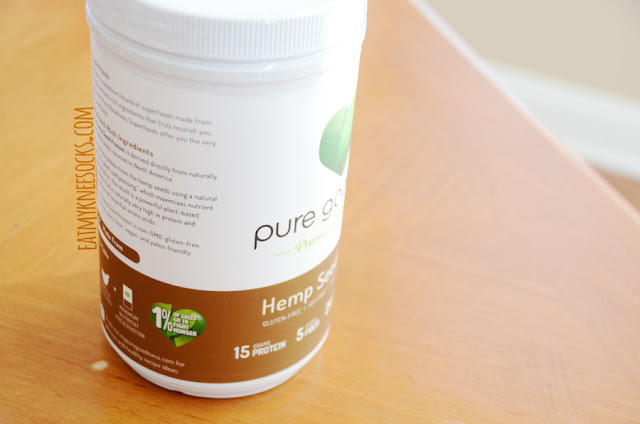 I was pleasantly surprised by Pure Goodness and their Hemp Seed Protein, which stays true to the brand's all-natural promise and, amazingly, tastes great for something with such an impressive nutritional chart! As someone who has tried many protein bars, shakes, and powders, I can say that the chocolate hemp seed protein powder ranks high among my favorites for both taste and nutrition, and these are perfect for anyone hoping to maintain a healthy lifestyle. Be sure to check out Pure Goodness on social media! "In addition to protein, this hemp seed powder also has 5 grams of fiber per serving (about 20% DV), 390 mg of potassium, and 2.4 g combined of Omega-3 and Omega-6, all from the hemp seed. There are also tons of vitamins and minerals, including iron, calcium, magnesium, manganese, and many more!" I agree with these words but without https://www.biceps-shop.com/best-soy-protein/ you cannot make a beautiful body. So in the event that you are hoping to purchase CBD oil online then you ought to contact My Dr. Greenleaf and purchase CBD rich hemp oil with the goal that you can see whether normal torment alleviation is the response for you. do you work for Pure Goodness? In the tenth century, the Indians started to utilize the oil to treat acid reflux, and anorexia and also outer injuries and contaminations, asthma, menstrual agony and then some. simpson-oil continue to have incredible results and successes with countless people around the world.